A chance to step back from your day-to-day approach to cross-cultural HR, workplace, and social interactions that leave you feeling frustrated and confused. An exploration of U.S. social groups and how they interrelate. Insight to invisible cultural forces that undermine best intentions. An opportunity to hear unspoken truths that, when unspoken, hold divisive patterns in place. 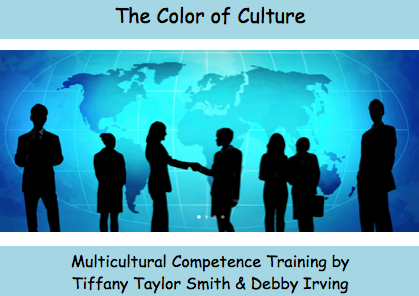 New understandings and skills that develop your ability to be adaptive and successful in multiple cultural settings. Increased ability to create a more inclusive culture be it in your corporation, faith community, school, or home. 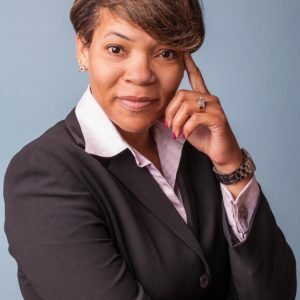 Tiffany Taylor Smith, Executive Director for Inclusive Excellence Education and Professional Development at University of Dayton and founder of Culture Learning Partners, is a cultural competency educator and consultant. Tiffany’s culutral competency work spans over two decades and includes 10+ years in Procter & Gamble’s human resource, diversity, and sales department’s, where she developed an internal system designed to retain and develop minority and women employees. In addtion to consulting, training, and speaking around the country, Tiffany has taught child, adolescent, and social psychology at Kean University. Tiffany’s writings include, “Six Tips for International Student Success in US School,” Independent School Magazine article, “Embracing Culture, Teaching Change Strategies for Professional Development and Personal Growth,” and an upcoming book, The Unwritten Rules of Success in U.S. Culture, scheduled for release in late 2016. Tiffany holds a Master of Education specializing in Counseling Services from Fordham University and BA in Psychology from the University of Rochester. Without a shared framework to understand U.S. history and dynamics of power and privilege, institutional and individual hopes and initiatives for a more equitable world can be illusive. Good intentions can yield surprisingly lackluster results if we don’t have a grasp of the cultural context in which we are operating. What are the unwritten rules of success in U.S. culture? Who determines them? Monitors them? Challenges them? Without making visible the unwritten rules of race, class, gender, religion and other differences, patterns of power and privilege, we can — despite our best intentions –unknowingly reproduce them. Join us for a day of transformational learning about how cultural assumptions, communication styles, implicit bias, micro aggressions, and engrained social habits influence our daily experiences and shape our community cultures. Participants will leave with tools to better understand their personal and professional environments as well as to be effective equity change agents.